The most controversial reality show, Bigg Boss 12 completed its fifteen weeks gracefully that witnessed sweet moments, comedy, merriment, crazy mouth-to-mouth fights, music, dance, light romance, and tough tasks assigned by Bigg Boss himself. 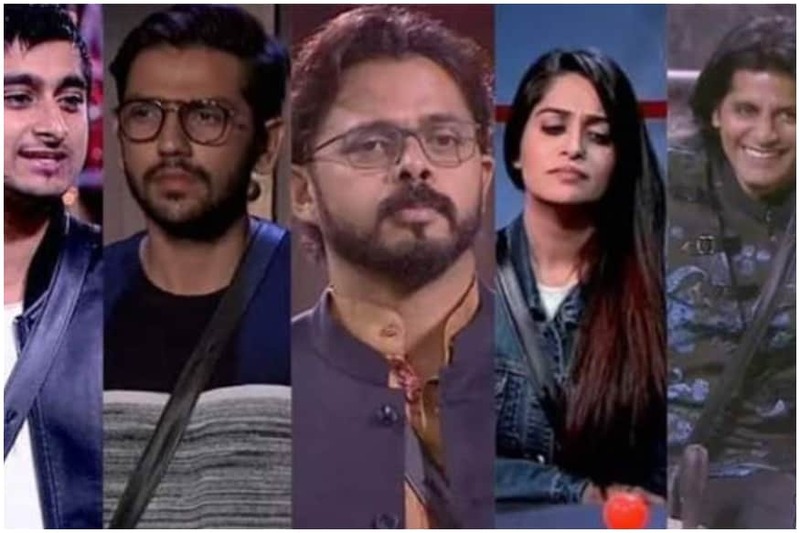 Among the 17 contestants who made their entry in BB 12, individually and in a pair, the house is left with last top 5 finalists, Deepak Thakur, Sreesanth, Deepika Kakkar Ibrahim, Romil Chaudri, and Karan Veer Bohra. 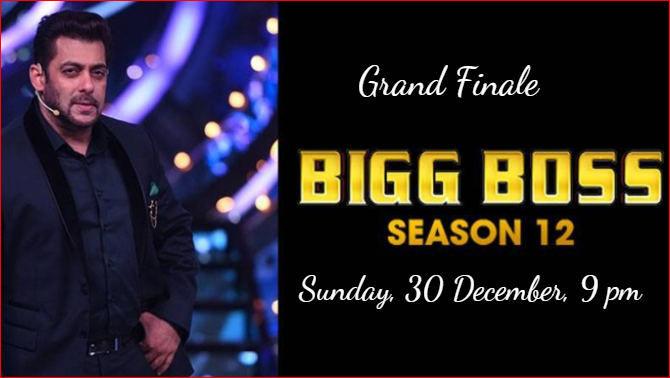 The grand finale of Bigg Boss 12 showcases on Sunday, 30th December at 9 pm. It would be more exciting to see who audience gives the highest vote to win the trophy, and who will get away with the suitcase of money that Bigg Boss might offer those 5 contestants! Let’s update you with spicy Bigg Boss details! Bigg Boss 12 consisting of total 15 weeks, 104 days, 76 episodes ends on Sunday and the journey of the top 5 contestants have been amazing. The top 5 have literally played excellently and are the winners in their own way. In today’s 75th episode and 103rd day, Bigg Bigg himself will make Deepak, Romil, Deepika, Sreesanth, and Karanvir extremely emotional by showing clippings of their whole journey by calling individually in a room and making them feel special and a winner. All the top contestants relive their awesome journey at Bigg Boss and are in tears by the love they have received in this house. 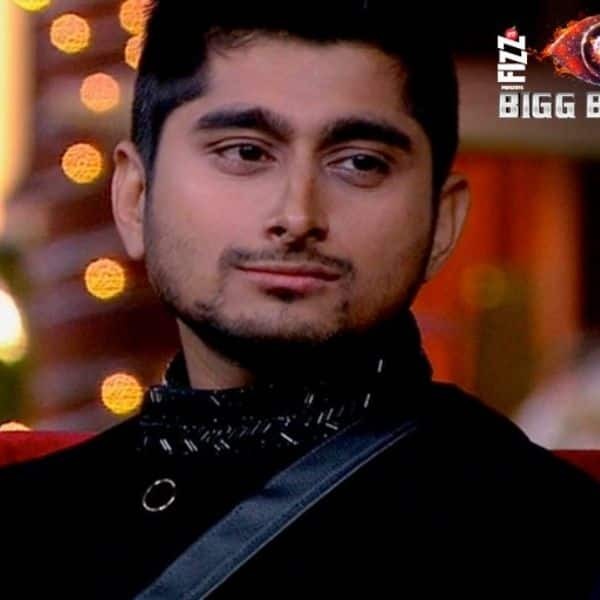 Deepak Thakur: Deepak entered the house as a commoner and has won the hearts of people and also grabbed a lot of fans for himself. Hailing from Muzaffarpur in Bihar, Deepak is a known singer who has given his voice for the song ‘Humni Ke Chhodi Ke’ from Gangs of Wasseypur Part 1 movie ; ‘Moora-Morning’ from Gangs of Wasseypur Part 2 ; ‘Adhura Main’ song from Mukkabaaz . He has often been seen singing in the Bigg Boss 12 house for other contestants and guests, and also doing antic comedy and even talking at the back of other contestants. He was highly emotional seeing his AV and had tears in his eyes and thanked Bigg Boss for giving such a great platform like Bigg Boss. Romil Chaudri: Romil is another commoner who came in Jodi but lasted till the end, among the top 5 finalists. Being a lawyer in the profession, he has certainly used his strategies intelligently. Though he got out of the house in between, again returned back and continued to play his plans and stay back strongly. 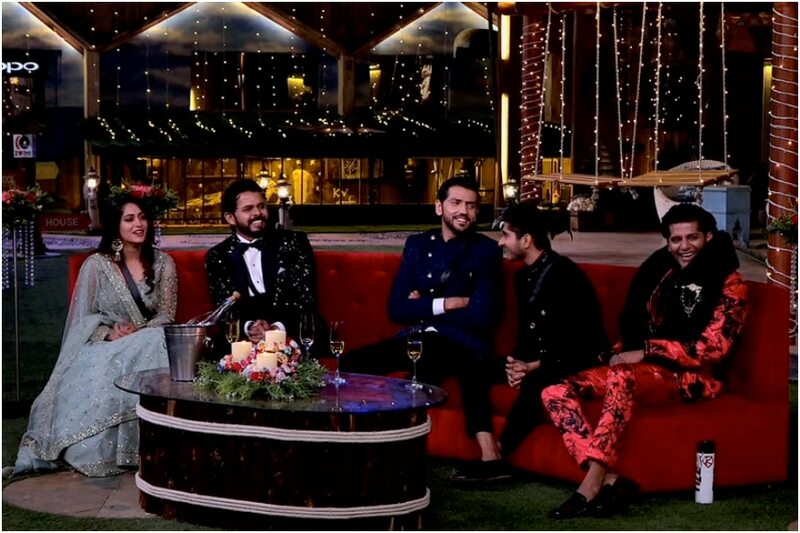 Among Surbhi and Romil, audiences have chosen Romil to be in the top 5. 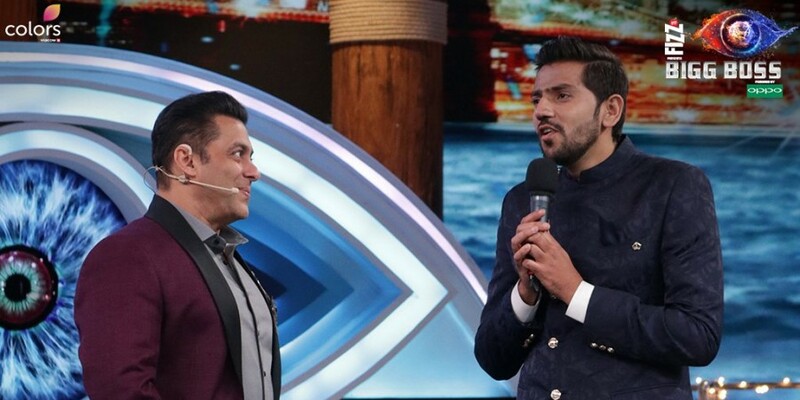 On the grand finale night, it is guessed that Romil might be the one using his master-mind to carry the suitcase of money offered by Bigg Boss and take back home. Deepika Kakkar Ibrahim: Known for her acting as Simar in Colors’ Sasural Simar Ka and contestant of Jhalak Dikhhla Jaa Season 8, Deepika has entered the home singly and has been trying her best in the house and is among top 5. Her equation with Sreesanth has been sister-brother and often been said as being overshadowed by him. Deepika will make her debut in J.P. Dutta’s upcoming movie named Paltan starring Sonu Sood and Arjun Rampal. Sreesanth: Sreesanth has been playing fine throughout the season, exhibiting his anger side, not completing the tasks, getting arrogant, speaking sweetly with Deepika. He is a former Indian cricketer and an actor as he had acted in Malayalam movie “Team 5.” In the house, he has been seen talking about his cricket innings and crying over it. On seeing his AV, Sree will be seen weeping his heart out in Bigg Boss house. Karanvir Bohra: Karanvir is seen as the OK contestant in the whole of Bigg Boss 12 as he has never taken his own stand and left it for others. Because of his fan following, he has managed to be in the top 5. He was last seen acting in Colors’ Naagin 2 and Zee’s Qubool Hai. He too looked emotional seeing his whole journey in Bigg Boss. Winner: Deepika Kakkar Ibrahim; receives 30 Lakhs prize money. 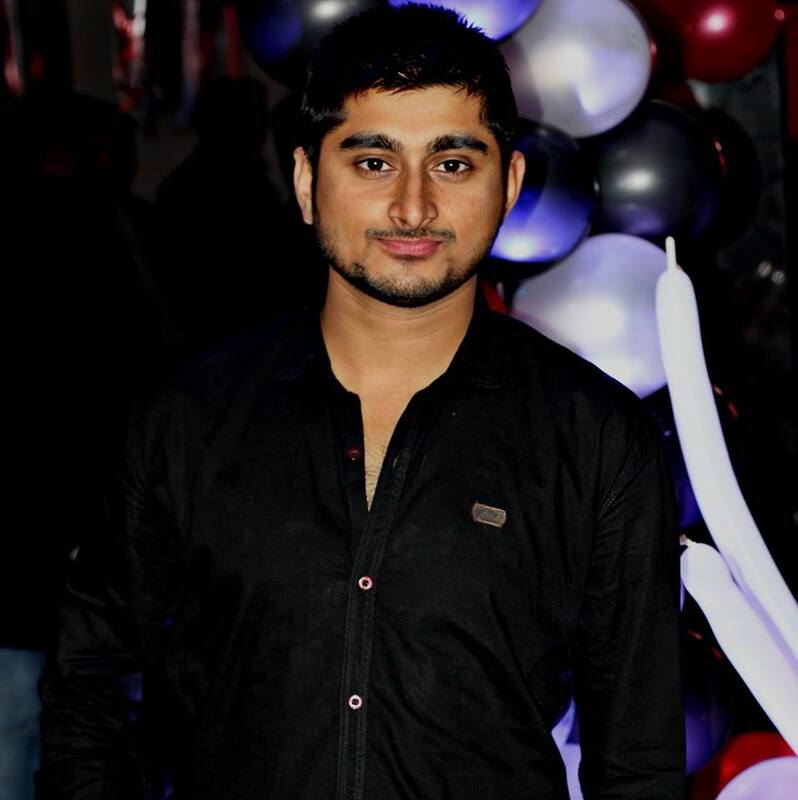 Second Runner-up: Deepak Thakur; walked away with Rs 20 lakh by quitting the show.